Dementia caregivers experience higher levels of depression. Many caregivers do not eat the healthiest diet, and do not get sufficient levels of physical exercise. Caregivers work very hard and often experience injuries due to helping lift and move their patients. Caregivers often work long hours and come home exhausted. Caregivers experience excessive stress and don’t usually have effective ways to control or reduce it, such as meditation, yoga, massage or listening to music. Caregivers do not usually make a high salary, which means they have very little time or money for vacations or expensive health food and supplements. 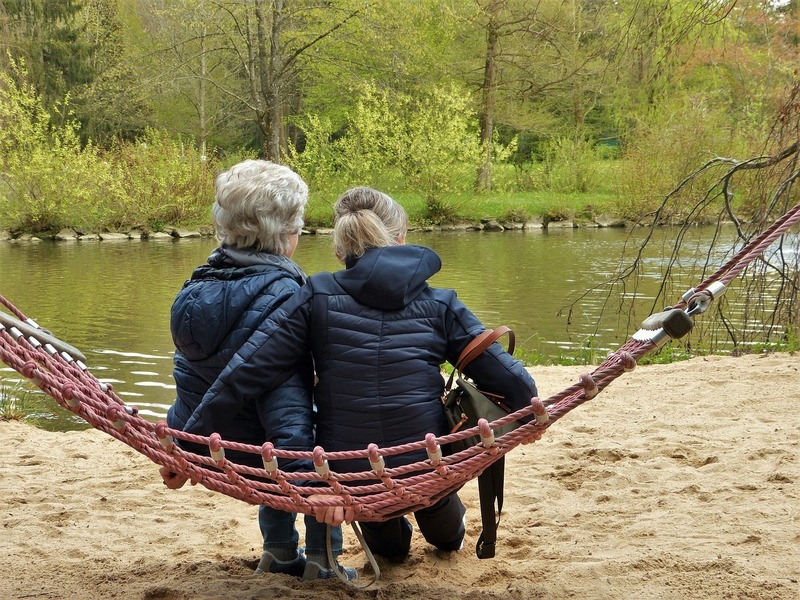 There is a lot of gratification associated with caregiving, but it would be even more gratifying if they were better able to care for themselves and their families. Nutrition is one of the best ways to improve the status of a caregiver’s life. This would involve the adoption of a Mediterranean diet, and a significant reduction in fast food and junk food. Caregivers need to learn how to buy healthy food in bulk, and the benefits of eating organic frozen foods, which are high in nutritional value. Bringing healthy meals and snacks to work is also a good idea, because this provides more nutrition needed to do their jobs better. They also need to use some of their limited resources to add some basic nutritional supplements to their daily routine. It is virtually impossible to get all the necessary nutrients from food alone, especially given the high levels of stress and physical activity caregivers experience every day. Multiple vitamin and mineral– This supplement, along with a Mediterranean Diet, provides a nutritional base that everyone needs in order for cells to perform their everyday duties. However, there is not usually sufficient amounts for certain nutrients to protect our cells from challenges such as stress, aging, toxins, germs and other common situations. Good brands include Life Extension, Metagenics and Source Naturals. Vitamin B Complex– We need more B vitamins than are found in a typical multiple due to stress and emotional challenges, as well as the prevention of asthma, allergies, mood conditions, exercise and immune protection. Take with the evening meal at the strength of 100. There are usually two levels of strength, 50 and 100. Good brands are Metagenics, Source Naturals and Life Extension. Fish oil– Omega 3 oils are needed to make cells softer, repair damaged cells, comate inflammation and improve cellular communication. Scientific evidence points to proven benefits for heart health, brain health, cancer prevention, as well as the prevention and treatment of MS. Most people need 1000 mg of EPA and DHA combined. Good sources include Carlson, UDO’s, Life Extension, Metagenics and Source Naturals. Magnesium– This mineral plays a key role in many biochemical reactions in the body including transporting glucose and insulin into cells to make energy, and to help maintain a proper acid/alkaline balance. A pH balance of 7.0-7.4 helps to prevent chronic disease. Getting glucose into the cells helps with weight management and the prevention of diabetes. Magnesium is key to heart and brain health due to its crucial role in energy production. Good sources are Metagenics, Dr. Mercola, Life Extension and Source Naturals. Most people need about 400 mg near bedtime. Vitamin C– This is a very powerful antioxidant that neutralizes free radicals, which cause many chronic diseases. Free radicals (pollution, smoking, fried foods, etc.) have a missing electron and vitamin C has an extra electron that it can use to neutralize free radicals. Free radicals are involved in most disease including heart disease, cancer, Alzheimer’s and Parkinson’s. The brain needs up to 200 times more vitamin C than other parts of the body. Most people need 1500 to 2000 mg of vitamin C spread out during the day. Good sources are Dr. Mercola’s Liposomal form, Life Extension, Source Naturals, ALACER or Metagenics. Vitamin D3– This amazing vitamin/hormone is the strongest genetic modulator that we have available. That means that high levels of vitamin D3 (50-90 ng/ml) can turn off the genetic predisposition to many diseases, including cancer. Studies have shown that high levels can reduce the risk of breast cancer by 77%, and prostate cancer by 83%. Vitamin D3 is also the best-known nutrient for the prevention of the flu. Some research and some doctors indicate that it is even better than getting a flu shot. Men need about 2000 IU per day and women need about 4000 IU per day. Good sources are Dr. Mercola, Life extension, Source Naturals and Metagenics. Zinc- This mineral regulates communication between brain cells and the hippocampus, which, allows for good learning and memory maintenance. It is also a cofactor with over 300 enzymes necessary to make DHA and protein, as well as assist in cell signaling and the cell division (replacement) process. If cells are not properly replaced they become damaged and eventually die prematurely. Coenzyme Q10- This enzyme is very difficult to get from food alone. It is crucial for energy production in every cell and for protection of the DNA in our cells. It is so strong, that it alone was able to reverse kidney disease in 50% of patients in one small clinical study. Too many people, including caregivers, do not think about the nutritional density of the foods they are eating. They simply see lunch as just another meal from which they belief they will get all of the nutrients they need. This is a huge problem, as we saw in a recent study by the National Cancer Institute. Over 16,000 people were assessed on their nutritional behavior, and the study found that not one person had a truly health diet. Chronic illness has increased over 600% over the past 60 years, and this is the main reason. Caregivers need to change how they eat and hey need to do it sooner rather than later.